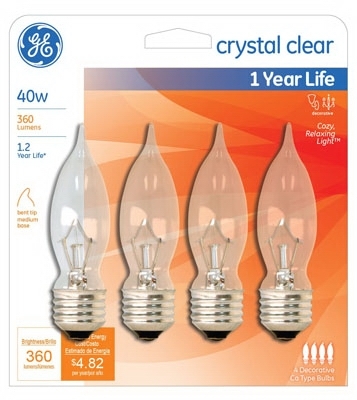 Decorative Incandescent Light Bulb, Clear, 60-Watt, 120-Volt, 4-Pk. 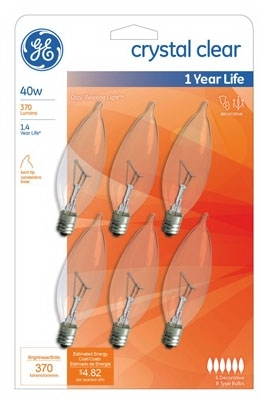 Decorative Incandescent Bulb, Clear, 40-Watt, 4-Pk. 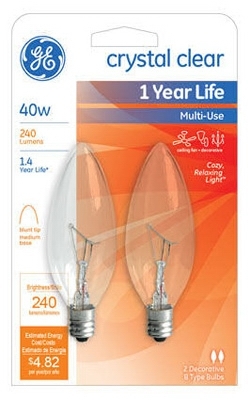 Light Bulb, Flame Shaped, 40-Watt, 2-Pk. Light Bulb, Flame Shape, Blunt-Tip, 40-Watt, 2-Pk. 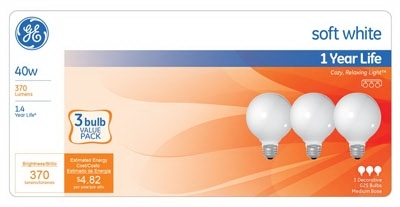 Decorative Light Bulb, Flame Shape, White, 25-Watt, 2-Pk. 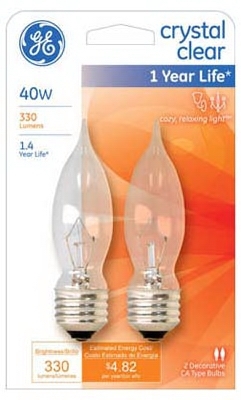 Decorative Light Bulb, Flame Shape, White, 40-Watt, 2-Pk. 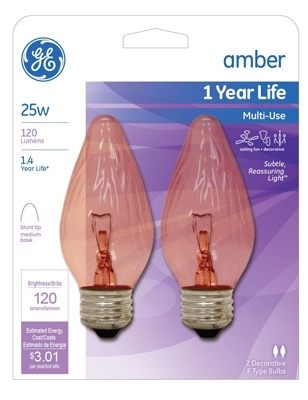 Decorative Light Bulb, Flame Shape, Amber, 25-Watt, 2-Pk. 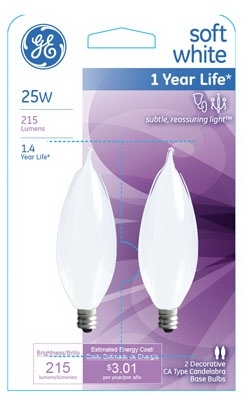 Candelabra Light Bulb, Bent-Tip, Frosted, 25-Watt, 2-Pk. 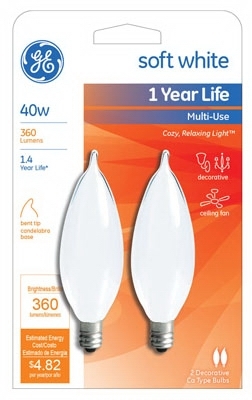 Candelabra Light Bulb, Bent-Tip, Frosted, 40-Watt, 2-Pk. 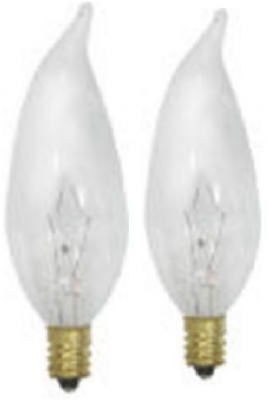 Candelabra Light Bulb, Bent-Tip, Clear, 60-Watt, 2-Pk. Candelabra Light Bulb, Bent-Tip, Frosted, 60-Watt, 2-Pk. Decorative Light Bulb, Bent-Tip, Clear, 40-Watt, 2-Pk. 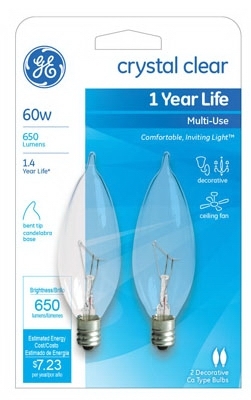 Decorative Light Bulb, Candle Shape, Candelabra Base, 40-Watt, 6-Pk. 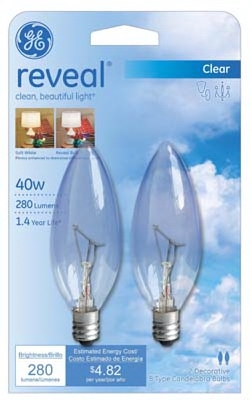 Candelabra Light Bulb, Blunt Tip, Clear, 60-Watt, 2-Pk. Candelabra Light Bulb, Bent-Tip, Clear, 40-Watt, 4-Pk. 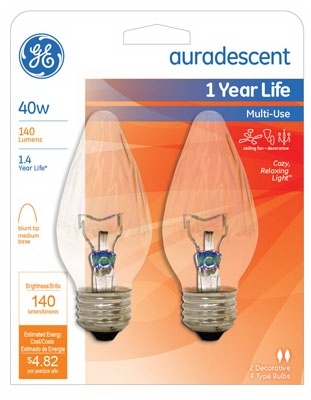 Candelabra Light Bulb, Bent Tip, 40-Watt, 2-Pk. 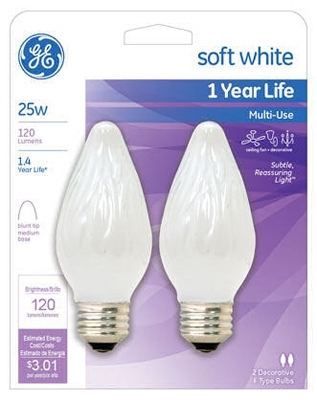 40-Watt White Globe Light Bulbs, 3-Pk. 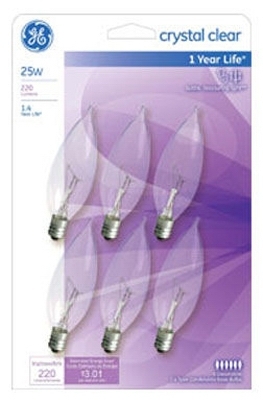 Decorative Light Bulb, Candle Shape, Candelabra Base, 25-Watt, 6-Pk. Light Bulb, Blunt Tip, 40-Watt, 2-Pk. 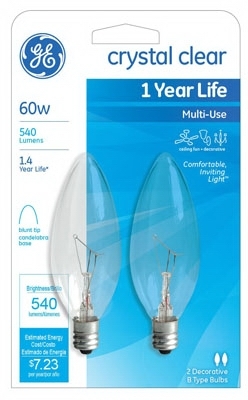 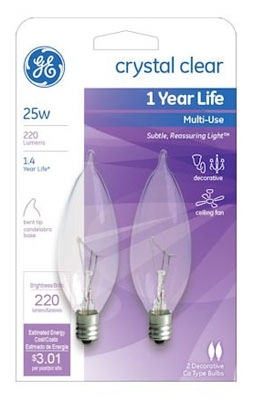 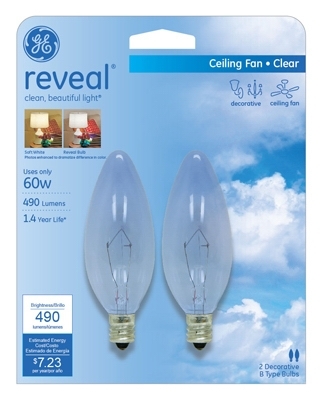 Light Bulb, Candelabra, Clear, 25-Watt, 2-Pk.